The world of information technology has surpassed all expectations in the last 25 years. The electronic display market is now a multi-million dollar business, as digital displays take root in public and private environments e.g., retail stores, shopping malls, airport departures and arrivals and inside corporate and Government buildings. 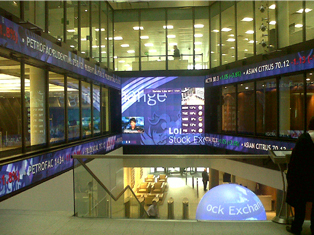 The majority of these multi-screen displays are generally created using LCD, LED, Plasma or Projected Images. The benefits of digital signage over static displays are that the content can be controlled and changed more easily, real time video or recorded animations can be applied effectively, and signs can be quickly adapted for seasonal or variable requirements. Digital Signage will of course also offer superior returns on investments made by media companies who own those strategic advertising positions. 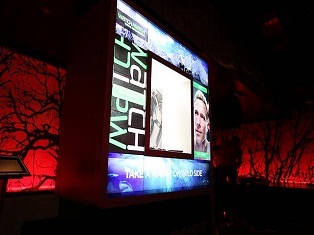 The additional benefit is that Digital Signage is controllable via a personal computer using proprietary software programs avoiding large capital outlay for additional controller equipment. Furthermore, your displays can be controlled from one central office via the telephone line, making the need to visit the venue almost redundant. Public Information: Transport Departure and Arrival Lounges, News, Weather etc. Time Enhancing: The reduction of perceived wait time in a queue in restaurants, banks, waiting rooms etc. 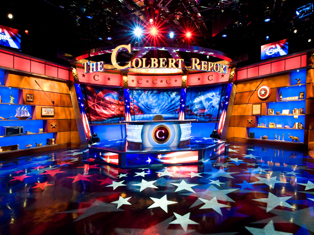 Control Rooms: Command & Control Centre Video Walls for 24/7 Critical and Controllable Large Wall Displays. 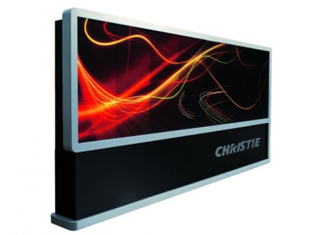 Multi-Award winning, Christie MicroTiles™ have taken display technology into a new frontier. Built on proven DLP® technology and specifically designed for maximum image quality in high-ambient light environments, Christie MicroTiles are the ideal choice for a wide range of demanding applications, including architectural elements, out-of-home advertising, command and control video walls, and event production. Encompassing the benefits of both rear projection and Light Emitting Diode (LED) technology, Christie MicroTiles provide substantially brighter images and a much wider colour palette than conventional LCD and plasma displays. With no practical limit to the number of tiles that can be applied in a display, Christie MicroTiles produce a virtually seamless (1mm) canvas with an unlimited number of super-fine pixels. 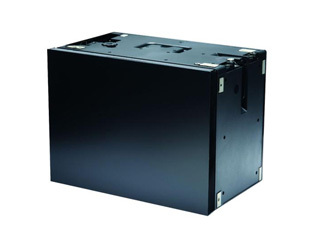 MicroTiles can be configured in almost any shape and size. So that you can see your ideas come to life, wherever, whenever and however you want. Lightweight tiles lock together quickly and easily, like building blocks. MicroTiles are unique; once your choice of shape and size is created, you can sit back and the tiles will automatically detect each other and continuously self-calibrate for colour and brightness. Tear them down, reconfigure them and they’ll still recognise each other and recalibrate for you automatically. With rock-solid housing, durable screens and a long-lasting LED light engine, your MicroTiles display is built to last, for a long run. But just to be sure, each tile is 100% front accessible, allowing you to repair or replace any serviceable component in less than 15 minutes, without having to turn off or dismantle any of the other tiles. With almost no downtime, your MicroTiles display delivers the kind of long life and reliability ideal for generating advertising revenue or making life-saving decisions. 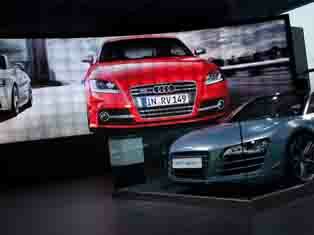 MicroTiles offer you a colour reproduction capability that exceeds standard LCD displays by over 50%. When you need a specific red, they give you that red; and browns … are no longer a challenge. Now you can maintain your creative intent, your brand identity, and your vision, by utilising Christie MicroTiles. 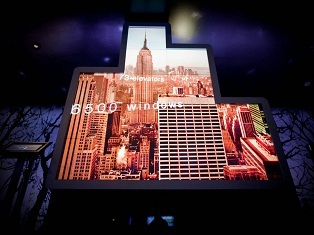 In this pixel powerhouse, you get seventy times more pixels than the most popular 4mm surface-mount display LED panels. Your logo will never look blurred again! Your art will always look flawless! Your geographical content will never be misleading! And your message will be seen exactly as you intended it to be seen. Vista Systems, are manufacturers of the Spyder video processor, the most powerful, most creative, flexible, video processors and widescreen displays available today. Spyder gives you total control and flexibility, so you can mix an incredible number of sources in multiple windows, create all kinds of picture-in-pictures (PIPs), define, shape and blend borders with remarkable ease, and do it all without a hitch, every single time. Novices and professionals alike love Vista products because they are so easy to use and completely versatile. They’re also innovative enough to adapt to any application, presentation or visualisation environment. Extron are specialists in the world of interfacing, switching and control systems for the retail and entertainment industries, from the latest in digital signage and interactive consumer kiosks, to up-scale shopping, themed dining, and multimedia entertainment venues, Extron offers the AV technologies to integrate the sights and sounds of public spaces.